CoCreativ's inspirational workspaces are best experienced in person. Check tour availability now. Smartest financial decision this year. 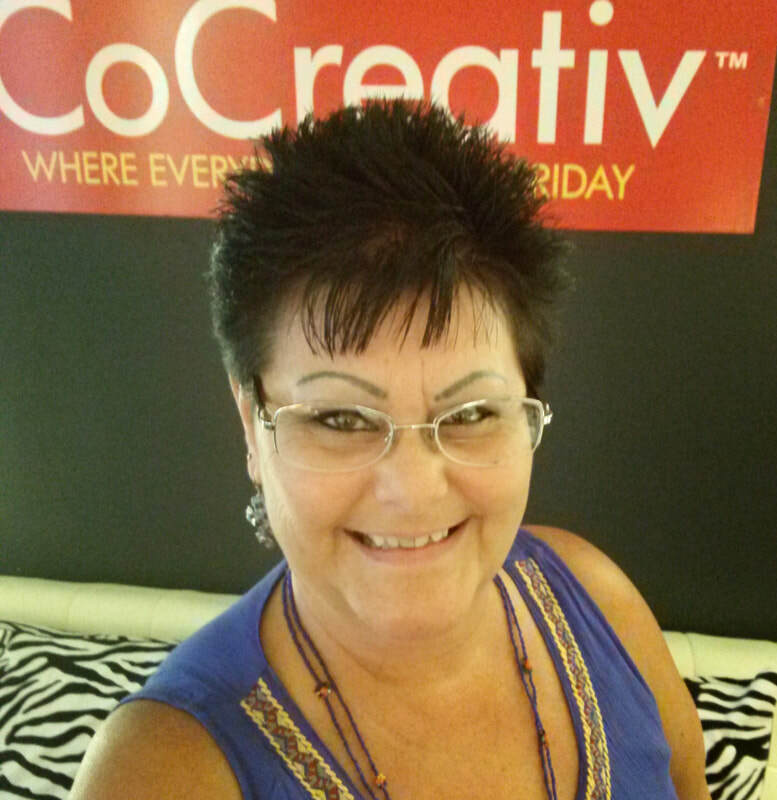 When I started looking for the best price on downtown Tampa office space, I found CoCreativ. I toured the higher priced competition first but found that I could get the same quality service here for a lot less. Joining CoCreativ has been one of the smartest financial decisions I've made all year. Good riddance to bad office space. I love my downtown Tampa private office, it's decorated nicely with a modern yet classic vibe. The view of the downtown Tampa Skyline is perfect and there are so many eclectic restaurants within walking distance. Everything in this downtown Tampa office space is always clean and tidy, with no loud noises or distractions from other office members. The CoCreativ staff has always been very helpful whenever I need anything. 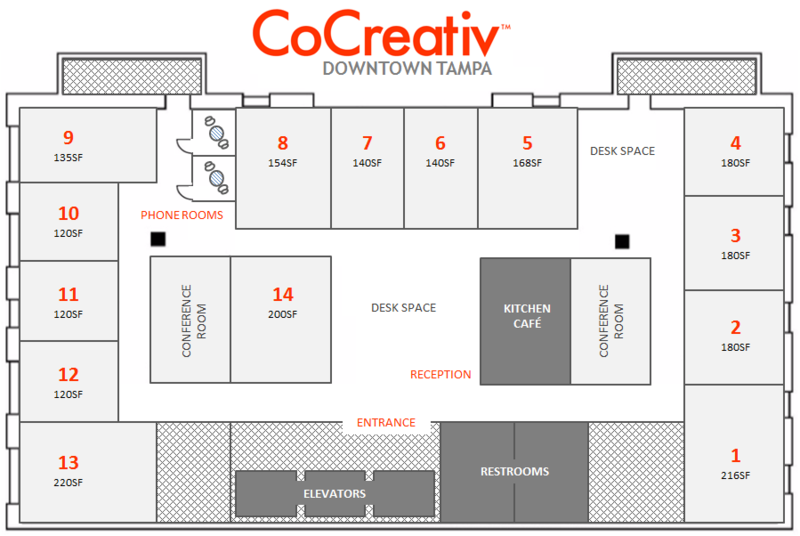 CoCreativ is your source for Downtown Tampa Virtual Office Space. Call 1-888- 505-OFFICE to set up your virtual office in Downtown Tampa FL. Tampa’s skyline is an impressive sight, littered with striking towers that set the city apart as a hub of business. Our CoCreativ business center is on the 11th floor of one of the most historic structures in that skyline, a charming 12-story tower with unparalleled visibility. Our downtown Tampa office suites offer wonderful views out across Tampa’s dynamic cityscape and the nearby Hillsborough Bay area, a calming natural space that’s the perfect place to take a break. But don't let these serene surroundings fool you, downtown Tampa is about business, intentionally positioned in the heart of the city’s central business district (CBD) with big businesses, agile startups and essential amenities all around. ​Live the active work style with plenty of walk-ability to popular restaurants, luxurious hotels, and high-energy night life. All with instant access to the Selmon Expressway crosstown and the I-275 for longer trips. Includes premium roast Kahwa Coffee 20 days a month plus desk space rental in Tampa to start, launch, or grow your business!! ​Private phone booths are available for phone calls. Get complimentary Arabica-roasted coffee, tea, spring water, soda, and snacks at every CoCreativ location. The community management team adds a personal, professional touch to each CoCreativ business center and is committed to helping members start, launch, and grow their businesses. Faith creates a welcoming family environment with her warm Southern hospitality.